CHICAGO (WLS) -- Chicago Public Schools announced Monday a $46 million freeze in discretionary funds in response to Illinois Governor Bruce Rauner's $215 million cut to CPS schools. A spokesperson from Gov. Rauner's office said the $215 million was not a "cut," but part of a stop-gap budget deal that never passed. Officials from the state's largest school district said the freeze is an effort to preserve as much cash as possible to make a June 30 pension payment, which CPS said no other Illinois school district is required to make. The spending freeze affects non-salary funds - money that would have been spent on new textbooks, technology investments, field trips and non-salary staff, CPS said. The district also said funds for professional development that are part of the Central Office would be eliminated, and that there would be more streamlining and layoffs in the Central Office, to save another several million dollars. CPS urged Rauner to close the gap between Chicago's pension payments and those of other Illinois school districts, which the district said Rauner agreed to do in a bipartisan compromise last year. 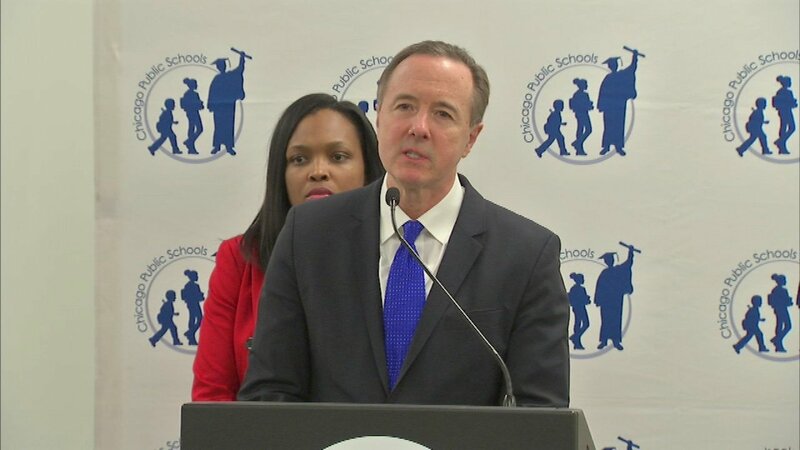 "Governor Rauner's actions cement a racially biased funding system that is also the worst in the country for children living in poverty," CPS CEO Forrest Claypool said in a statement released Monday. "Governor Rauner did not create this unjust system, but he has chosen to perpetuate it, violating the civil rights of hundreds of thousands of Chicago schoolchildren and threatening their futures." "Twenty years of financial mismanagement by the city cannot be blamed on someone trying to put Illinois on the right fiscal path. The bipartisan agreement, worked out with Mayor Emanuel's approval, has been clear from the beginning: Chicago Public Schools would receive assistance with pension shortfalls as part of comprehensive pension reform that saves money for the state and local governments throughout Illinois. Rather than cutting services and pointing fingers, we should all be working together to pass this comprehensive pension reform agreement immediately." CPS has 20 percent of Illinois' school children, but only get 15 percent of the total state education funding. The district said on average, per pupil, CPS students get three quarters of the funding students in all other state districts receive. The CPS student population is 86 percent low-income and 85 percent African-American and Latino, the district said. Schools that are not impacted by the spending freeze include CPS-run specialty and alternative schools and Richardson Middle School, which opened in the middle of the school year, the district said. Claypool encouraged CPS families to contact Rauner using cps.edu/equality to share their opinions with him.